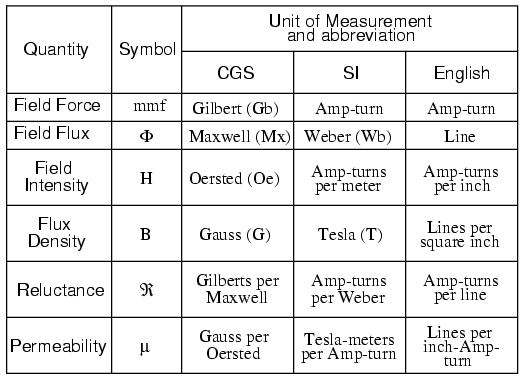 NOTE: the symbol "V" ("U" in Europe) is sometimes used to represent voltage instead of "E". 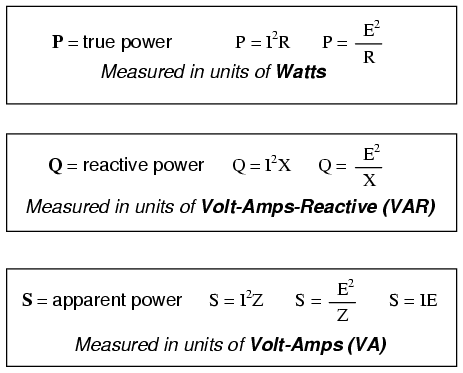 In some cases, an author or circuit designer may choose to exclusively use "V" for voltage, never using the symbol "E." Other times the two symbols are used interchangeably, or "E" is used to represent voltage from a power source while "V" is used to represent voltage across a load (voltage "drop"). 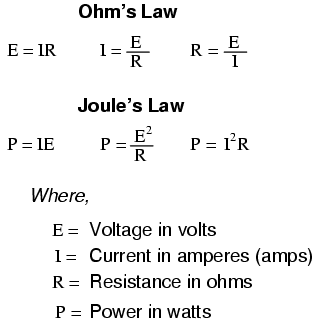 "The algebraic sum of all voltages in a loop must equal zero." 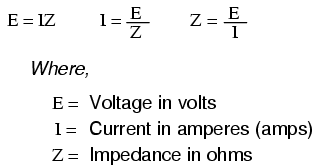 "The algebraic sum of all currents entering and exiting a node must equal zero." 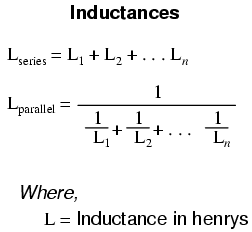 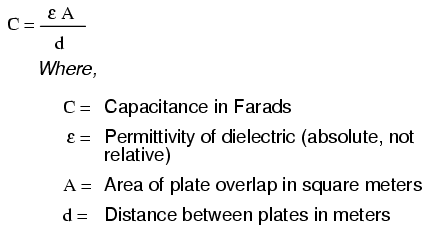 Wheeler's formulas for inductance of air core coils which follow are usefull for radio frequency inductors. 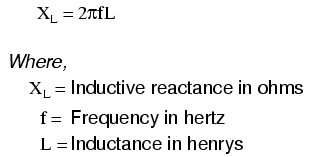 The following formula for the inductance of a single layer air core solenoid coil is accurate to approximately 1% for 2r/l < 3. 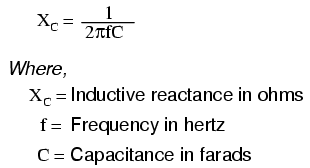 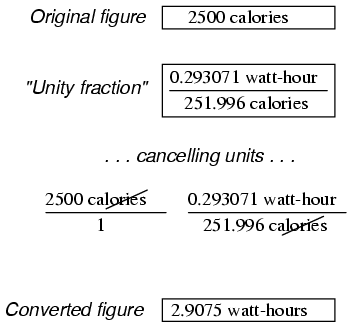 The thick coil formula is 1% accurate when the denominator terms are approximately equal. 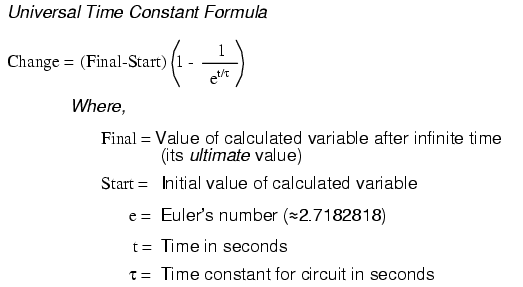 Wheeler's spiral formula is 1% accurate for c>0.2r. 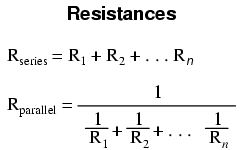 While this is a "round wire" formula, it may still be applicable to printed circuit spiral inductors at reduced accuracy. 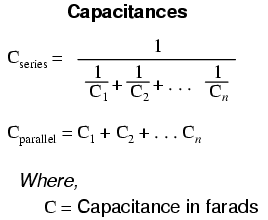 The wire table provides "turns per inch" for enamel magnet wire for use with the inductance formulas for coils. 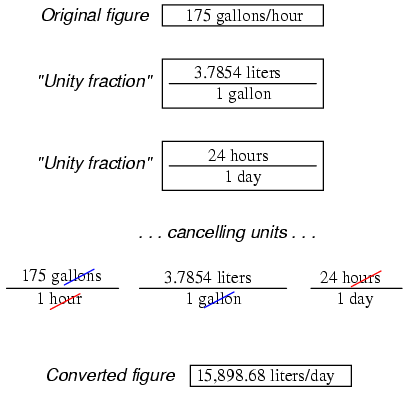 Conversion factors were found in the 78th edition of the CRC Handbook of Chemistry and Physics, and the 3rd edition of Bela Liptak's Instrument Engineers' Handbook -- Process Measurement and Analysis.